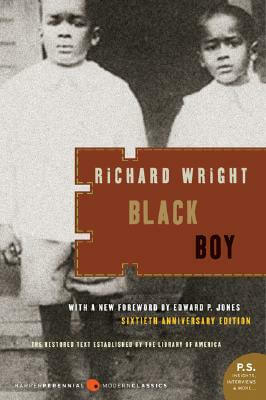 This incredible bestselling classic is Richard Wright's unforgettable and eloquent autobiography of growing up in the Jim Crow South. Black Boy is Richard Wright's unforgettable story of growing up in the Jim Crow South. Published in 1945, it is often considered a fictionalized autobiography or an autobiographical novel because of Wright's use of fiction techniques (and possibly fictional events) to tell his story. Nevertheless, the book is a lyrical and skillfully wrought description of Wright's hungry youth in rural Mississippi and Memphis, told from the perspective of the adult Wright, who was still trying to come to grips with the cruel deprivations and humiliations of his childhood. Life in the pre'civil rights South was intensely alienating for young Richard. At every turn, his desire to communicate was stunted, whether by famiIy members who insisted he "hush!" or by teachers who harassed and mocked him. He was surrounded by people he considered contemptibly ignorant, people who willingly allowed their lives to be restricted by tradition and authority no matter how illegitimate or self-destructive. Whether they were racist whites or passive, uncompassionate blacks, his fellow southerners viewed Richard's independence and intelligence with suspicion and scorned and humiliated him for his family's poverty. He lashed out by hitting the streets: He was already drinking by the time he turned six, and he fought constantly. He finally found his outlet in writing; by the end of the book, he decided that there was nothing he could ever do to improve his life in the South and committed to moving to Chicago to pursue his art. Tell us what do you think about Black Boy.